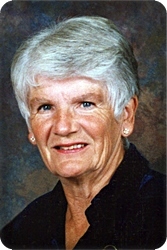 Wilma Ann Gunnink went to be with Jesus on Saturday, March 16, 2019, at the age of 85. She left this world surrounded by her loved ones at Faith Hospice Trillium Woods. She is survived by her husband of almost 65 years, Raymond Gunnink, and her five children and their spouses: Jerrine (Gary) Owen, Loren (Doreen) Gunnink, Dean (Jenifer) Gunnink, Cheryl (Andrew) Cooper, and Shelly (Charles) Slauer, 13 grandchildren, 10 great grandchildren, and her sister, Betty Osterhoff. Born in Hanford, California on June 14, 1933, Wilma was an educator, artist, and musician as well as an adventurous traveler and devoted wife and mom. After attending Calvin College, Wilma moved with her husband to Lafayette, Indiana where she worked as a teacher while Ray pursued his doctorate at Purdue University. The two eventually moved to California in 1963 where they lived and raised their children for 38 years. They moved to Michigan in 2001 to be near the growing family they so dearly loved. The family welcomes visitors on Wednesday, March 20th at Stroo Funeral Home (1095 68th St SE, Grand Rapids) from 3:00 – 5:00 pm or 6:00 – 8:00 pm. A memorial service celebrating her life will be held at Lakeside Community Church (6201 Whitneyville Ave SE, Alto) on Thursday, March 21st, at 11:00 am. In lieu of flowers, the family requests that donations be made to Mission India or World Mission.